62. “Ngoole ama Moliki-liki ae-nga, eno-ke maato kasi, nanu si naso kane-ya fe lingi lae-kise leni, na venge vee-ya vee-ni a-koo” ! Ngoole said: "Cut off my ears instantly so that I will no longer listen to the boastful utterances of Moliki-liki and the lies he tells." Maito, maito kai ! It’s time to narrate Fables of the Animal World. "My friend, are you sick? Can I be of assistance to you”? "What reasons have you for suggesting that I am sick? I am perfectly well. I am busy rocking this Wuuma. I will up-root it now and fell it on the ground now. So, please don't disturb me any more with questions. Run away from here. Be fast.The Wuuma is already clicking. It's about to fall down. Let it not fall on you”. 61. “esene noma e-Mbaa-mba, yaa-sa Mote mwe Elive e-kaa-ye nau”. See how Mbaa-mba is provoking Mote mwe Elive. Tales of the Animal World. Yasi nanu. Mote mwe Elive was a simple man who extracted wine from live palm trees. He was gentle and well known for being without guile. He diplomatically avoided being embroiled in disputes and litigation. Still, Mbaa-mba, the troublemaker engaged Mote in a dispute that had a tragic end. (“Wolinyama e-fuse kpwa ee ! Eso mono a-veli, a-laa Yonja Wuve ee” ! nhwe ! nasa-leli Yonja Wuve” ! 50. “Njoku asa litise i-mbangu jeni”. An elephant does not feel the weight of its tusks. Maito, maito kaii: Tales of the Animal World. Njoku/Njoka Nyame = an elephant. Njika/Njika Nyame = a wild cow that lives in the forest. “Taata e ! i-Mwai ! I am surprised that you parade the forest so easily with these heavy tusks. Don't you feel their weight” ? 45. Mofonge-fonge, osi mo kake lomba ! A “mofonge-fonge“ should not be wrapped with leaves. 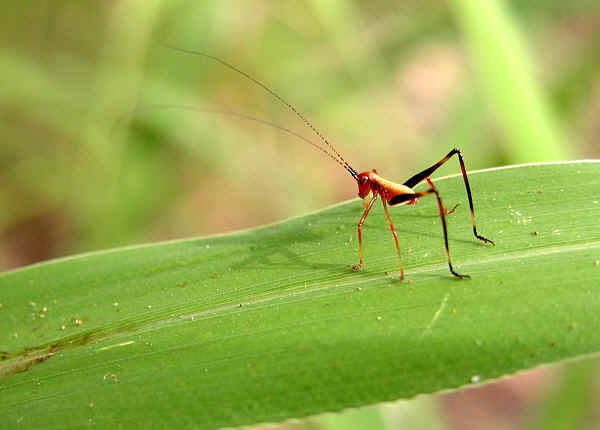 mofonge-fonge is the name of an insect with spikes. fii-ya = edible maggots that live inside the trunk of a dead or a dying palm tree. likao = the tuber on which coco-yams grow. veyali = leaves; singular, yali. veyali ve likao = “likao” leaves. ngaata = a shallow basket for farm use. Yasi nanu: Liyengu was not aware that there was a mofoge-fonge among fii-ya (maggots) she had wrapped in coco yam leaves (veyali ve likao) and placed in a basket (ngaata) that was standing on a heap of dead grass. As is usual with mofonge-fonge, using its spikes, it burst holes on the coco yam leaves. Several fiiya then used the holes as escape routes. 40. “Wheni Ekale emuka o-Wojuwa oma ema sambowa” ! Any Ekale that arrives in the area known as “Wojuwa” is doomed to failure and disgrace. Wojuwa = Villages within Buea customary court area and parts of Muea customary court area. Yasi nanu: It became a matter of concern that vekale that performed very well in other parts in the lands of the Bakweri failed to do so within the area known as Wojuwa. For instance, Vekale collapsed in the course of performance in Wojuwa villages. "wheni Ekale emuka o-Wojuwa oma ema sambowa” ! (Any Ekale that arrives in Bakweri land in the area known as Wojuwa is doomed to failure disgrace). Alarmed by the frequent disgrace that vekale suffered in Wojuwa land elderly and eminent traditional doctors in Wojuwa wanted to know the cause of failures of vekale in Wojuwa area. 38 “e-luwa, esi sii-se, esi tome-ya”. Panic occurs in markets when business is at its peak. Yasi nanu: Mola Kumbu a Mosoke of the village of Woanda had mystic power of causing panic in crowds by lifting his head wear (cap, hat, helmet). Order was restored when he returned the head wear on his head. On one occasion when women from Mola Kumbu's village met Mola Kumbu in Tiko early in the morning of a Tiko Market day, the women asked him to cause panic so that they would freely collect fish when panic occurred. Mola Kumbu said he would comply with the wishes of the women. By eight o'clock the women urged Mola Kumbu to cause panic so that they would commence their return journey home early. 35. “Eyea Waanga na Mooli mo Waanga)”. A tree and a climbing stem in the forest. Maito, maito kaii. It’s time to tell Tales of the Plants and Animals World. Yasi nanu: Mooli mo Wanga and Eyea Wanga were born at a location close to a stream. Both flourished very well. Eyea Wanga and Mooli mo Wanga embraced each other and became close friends (‘yosa ya jono na nganda’). Mooli wrapped himself firmly on the trunk of Eyee. Eyee developed to a large and tall tree, with several big branches whose lengths varied from about six to ten metres. The branches were covered with large leaves. Mooli climbed on the trunk of Eyee right up to the top and spread to all the branches. Eyee’s leaves and Mooli’s leaves blocked sunlight. Consequently the ground beneath Eyee was dark. The area that was covered by Eyea Wanga and Mooli mo Wanga, and their neighbours became known as ‘Lkomba la Wanga’ - thick forest, distinct from areas covered by bushes and grass/savannah. Eyea Wanga and Mooli mo Wanga never travelled abroad, and never paid a visit to any of their neighbours. Mooli mo Wanga and Eyea Wanga always held the same opinion and never differed. They were never in communication with any one or any authority and were never abreast with time. Eyea Wanga and Mooli mo Wanga led an exclusive and an unconventional life style that was frequently discussed in the Plants and Animals World. 34. “Meeme ndi meta-neli o-Likumu”. Bats meeting on a “Likumu” by coincidence. Yasi nanu: Two groups of plantation workers, one group from Widekum and the other group from Kom) at the camp of the German WAPV plantation at Wonyanga, near the villages of Wokpwae engaged themselves in a fierce quarrel over how they were going to share a deer they had killed. Each group wanted the deer to be shared in accordance with the tradition of its area of origin. In the face of irreconcilable differences, the overseer of the camp implored the Village Head of Wokpwae to intervene. The Village Head ruled that neither Kom nor Widekum tradition would apply, and that the deer was going to be shared in accordance with Bakweri tradition. It may be I am wrong in assuming that these “Vagili” are blood relatives ? I do not understand why are they quarrelling continuously” ? vanu Vagili vango, wondi va-yavi ? mame va toveya; litovo litovo” ? 33. 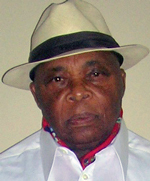 “ e-Mbonga Mokumu, o-joongo”. Maito, maito kai. It’s time to narrate Tales of the Animal World. Yasi nanu: The wife of Ngowa Wanga and the wife of Mbai matono Luuwa were friends. Ngowa’s wife had been eating good quality food in the home of the wife of Mbai on several occasions. “My Friend, please give me a slice of “linde”. I am hungry. “These are “mekumu”; not “mi-nde”. 31. “Osi nwe-eya foni luu-nga luji wu-wa” ! Be careful. Don’t be lured to die for a stomach filled with vegetable. Mwengele = a person who extracts wine at the top of live palm trees. kondi ja Valongi = beans from Balong area in Muyuka sub-Division. I have learnt that you are arranging to divorce Mosongo-songo to get married to Mwengele. I have a moral obligation to advise you against a marriage with Mwengele. You are already used to good quality food with enough meat. You will certainly have problems with your meals in the house of Mwengele. Vegetable (wu-wa, wu-wa) and beans (kondi ja Valongi) are the staple food in that house. This is why I consider that you should patch up your marriage with Mosongo-songo and discard the idea of a marriage with Mwengele. Besides, Mosongo-songo is still yearning for you. Your children want to see you once more in their father’s house. These facts are well known to all of us here. 30. “Nyaaka, asa mbee-ya o-woolo”. A cow ceases to be wild when it is inside a canoe. nyaaka = a cow. woolo = a canoe. Mofondo or Mofondo mo Valongi = the Bakweri name for the village of “Mpundu” situated on the west bank of River Mungo in Muyuka area. Yasi nanu: Five Ewonji men came to Wonyavio to buy a cow (nyaaka). After they had seen all the cows that were available for sale they decided to buy a wild cow that belonged to Mola Monge-nya mo Linde. In an attempt by twelve men to catch the cow, the cow became excited and ran wild towards Muea, then to Wolifamba wo Lelu, then down to Wokaka, and to Lysoka, then to Ekona Mbenge. At Mautu the twelve men who had been running after the cow caught the cow when it was struggling to find its way through a thick cluster of strong climbing stems. The Ewonji men then decided to take the cow to Mofondo and sail with it in a canoe down River Mungo (Ikanje) to the creeks, then to Ewonji. The Wonya-vio men expressed surprise that Ewonji men were taking a grave risk to sail in one canoe with the wild cow. 29. “ Wa u-mweli, asave fe monde-nge mo na Wolinyama”. Someone who becomes affected with a contagious disease will no longer flock together with his colleagues. Wolinyama = the Animal World. Wojuwa = Bakweri villages within Buea customary court area and some parts of Muea customary court area. Yasi nanu: At one time when Wolinyama in Wojuwa Region were plagued by an outbreak of diarrhea the leader of Wolinyama received a message that there was a doctor in a Fishing Settlement (Koombo) at the estuary of River Mungo, who had medication that cures diarrhea almost instantly and also serves as an immunity against attack by the disease. We are very fortunate to have you as a son. You speak Mungo, Ewonji, Douala, Pongo, Vatanga, Valimba. Besides, you are charismatic and diplomatic. This is why we are confident you will carry out the assignment to our satisfaction". He has been contaminated with an infectious disease, for instance, yaws. “If the Njoh ventures to come inside this my compound again, I will confront it. If the Njoh fails to kill me I will kill it”. Motongo then loaded his gun. There was bright moonlight when the Njoh came in again. After the Njoh had climbed up to the top of the fence that surrounded part of Motongo’s house and when the Njoh was about to jump inside the fence to seize a goat, Motongo fired at the Njoh, “tuum”.